I’m always looking for ways to save money. I’m the only person working right now in our home so if I can save a buck or two, I want to do it. My friend mentioned on Facebook how she had started couponing. I’ve seen the American shows about extreme couponing, but didn’t think it was possible to do in Canada. I don’t ever plan on becoming an extreme couponer, but I’m learning ways to save money on my grocery bill and surprisingly, they work and don’t take much time to do. I’m planning to share what I’ve learned about saving money over the next few months and hope that I can pass the knowledge on to others so they can see how easy it is to save money too. 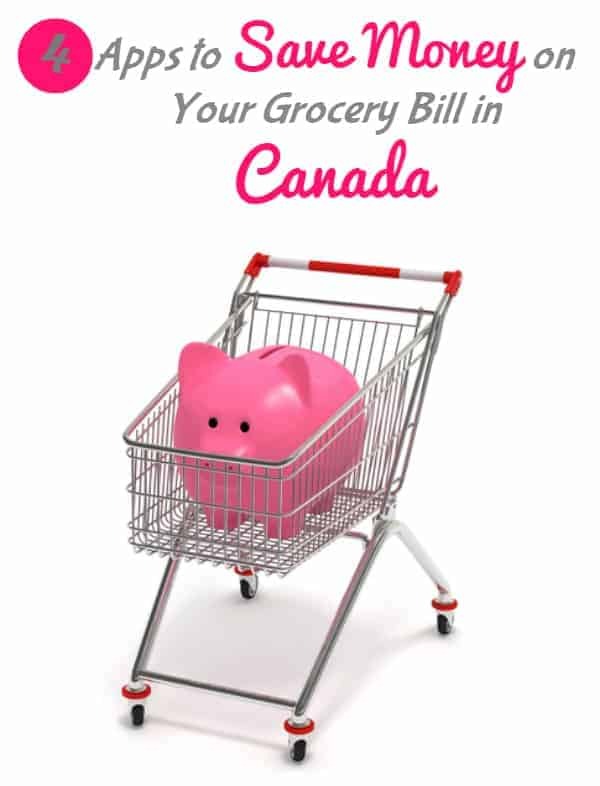 I could do one huge post and call it how to save money on your grocery bill in Canada, but I think it will be easier to break it up into smaller chunks. It’s also less for me to write at one time and less for you to read. I know you’re busy! Did you know that there are apps that pay you to buy groceries????? My friend introduced me to a few of them and I’ve been using them for the last month. 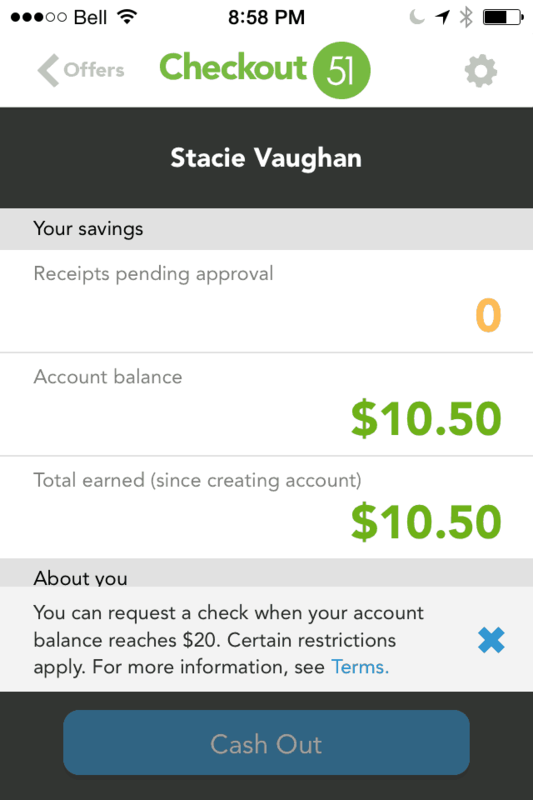 Right now I only know of four money saving grocery apps that will send you a cheque when you reach the payout amount (usually is $20). They are all set up pretty similarly. Every week they have offers on a variety of products from fruits and veggies, grocery items, cleaning and beauty products and more. When you purchase one of the products, you get a set amount back. It goes into your account on the app until you reach enough money to cash out. Then they will mail you a cheque. Let me give you an example. The other week I needed to pick up some Advil. 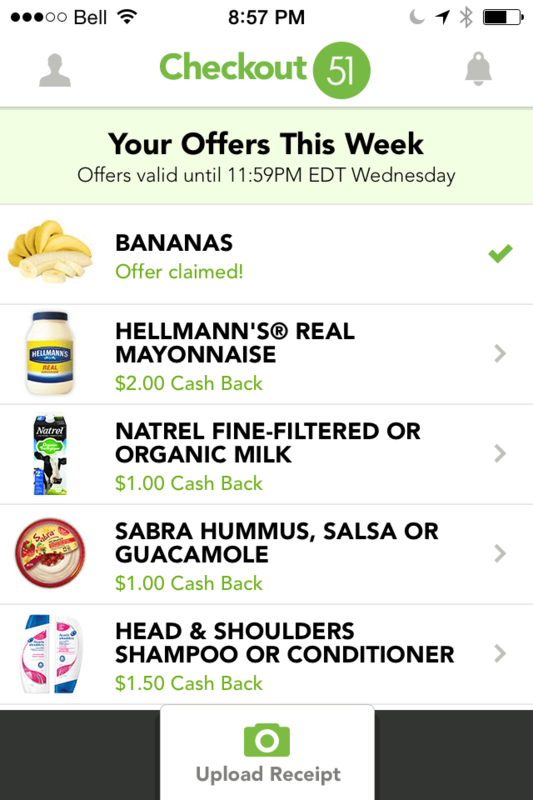 I saw that it was listed on Checkout 51 (one of the apps) and offered $3.00 cash back. When I got home from the store, I took photos of my receipt and uploaded it to the app. After the receipt is verified, the money was in my account! With that particular purchase, I bought the Advil on sale, used a $3.00 manufacturer’s coupon and then received $3.00 cash back via the app. I think I only paid about $2.00 for them! It’s just so easy! 1. Checkout 51: Every Thursday morning, Checkout 51 updates with a new list of offers. All you have to do is pick the ones you like, purchase them at any store, and upload a photo of your receipt through our mobile app or website. When your account reaches $20, we send you a check. Checkout 51 is my favourite of the four apps. I find the offers are on many products that I already purchase on a regular basis. Right now I’m at $10.50 in my account and that is all from three shopping trips! If you don’t have a smartphone, you can also use Checkout 51 on your computer. It gives you the option to upload a receipt on the computer. I find using the smartphone the easiest because I take a picture with my camera and instantly upload it. 2. Snap by Groupon: Snap by Groupon is your mobile savings tool to get cash back as you shop for your favourite products. As you shop, you gain dollars by simply taking a picture of your receipt and submitting it to us – our software takes care of the rest to process your cash back instantly. Snap by Groupon (formerly called Snapsaves) is another one I’ve been using regularly. I’m at $12 in my account right now and the cashout is $20. Fruits and veggies go really fast on this app though. Upload your receipt as soon as you get home or you may miss out on the offer! Other products seem to stay available though and I’ve never missed out on any yet. It has products that you buy often too like milk. Last week I got $1.00 back just for buying milk! You don’t need a smartphone to use Snap by Groupon. You can use your computer or get the app on iTunes or Google Play. 3. 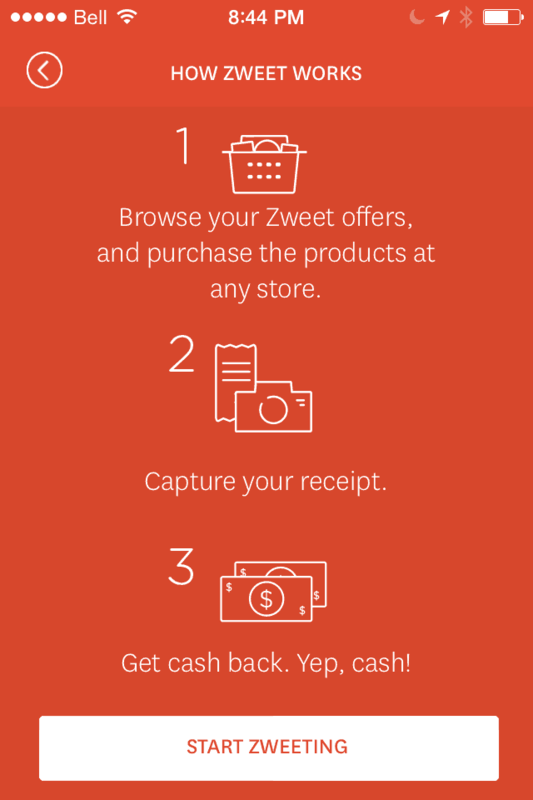 Zweet: Zweet is a revolutionary new way to save on your favorite brands without the hassle of finding, cutting and bringing coupons to the store. Zweet has a smaller selection of products, but are still items I use regularly. The other day I received $0.50 for buying Comet and $0.25 for buying bananas. You need a smartphone to use Zweet. You can either download the free app on iTunes or Google Play. I’ve made $2.25 so far with Zweet. 4. CartSmart: CartSmart is an application that helps smart people (like you!) organize their shopping trips and save money. I just started using CartSmart and so far haven’t redeemed any offers yet. They don’t have as many as the other apps, but I check it weekly to see what is new and if there’s anything that I need to buy. I’m looking forward to the day when I see a cheque for my efforts. By the rate it’s going, it won’t be long! Do you use any of these money-saving apps? 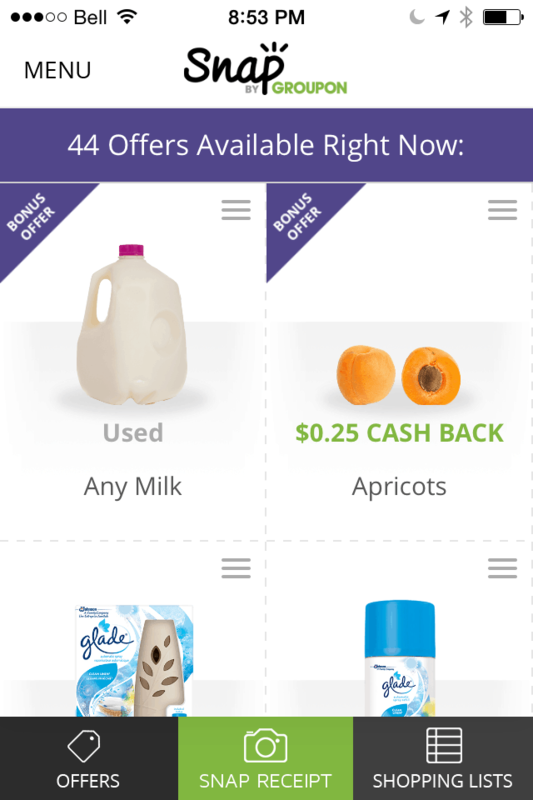 Save.ca is now also offering cash back on your grocery purchases! I downloaded the Save.ca iTunes app this morning. Cashout is at $5! Changio: Earn points on grocery purchases, restaurant visits and more. I use these all the time! Love them!! I use Checkout, SnapSaves and Zweet. For Checkout I have made $67 so far! I love the apps, I use them on my iPad. I don’t have cartsmart though, might look into that one. I had PC Plus when we lived in NS. I can’t use it anymore where I’m living now. There’s no stores that use it! These apps are all really good. 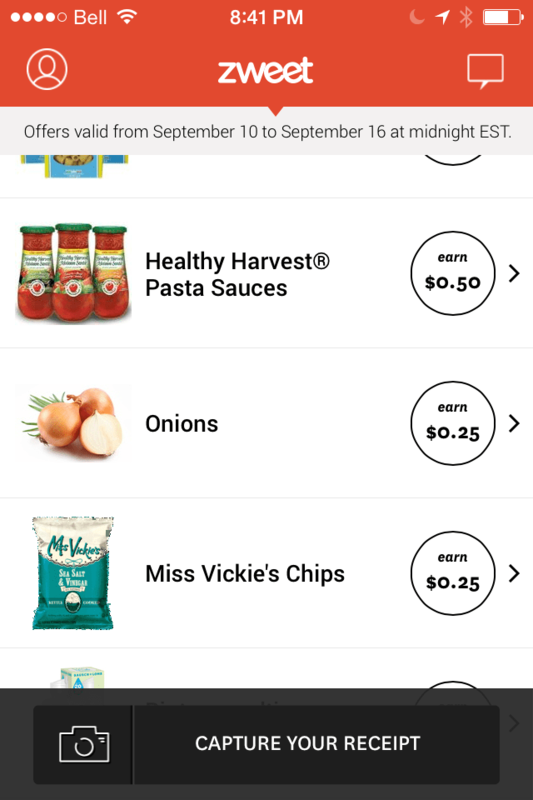 There is another app called changio its a little more broader range then just groceries but its pretty cool to. Thanks for sharing! I just signed up for Changio too. Have Checkout 21. Zweet and Snap love them. Its great to save money while grocery shopping. These are fabulous!! I know of Checkout 51 and Snap!.. thanks for the information on the others! I have been using Checkout for a bit. A couple of times I shopped on Wed and went to scan in receipt on Thurs and it was rejected so I have to remember to do it immediately but other than my own error it has been really easy to use! I’ve often wondered if these really worked – I finally got a PC Points card because I mainly shop out of Atlantic Superstore but I wondered because of what they give money back on isn’t what I buy often if it would work all the time. no I don’t use money-saving apps but my son does. I’ve looked into it but decided that there’s hardly anything that I buy that’s on their lists so it’s not worth my time. Zweet is a new one for me. I’ve never heard of that one, but checkout51 I’ve used. This is great info to have but between all these money-saving apps and loyalty cards, I sometimes wish we could go back to simpler times. Just pay for the groceries and leave the store! I have been using PC Points and earned a ton through that but now I am keen to try these other apps. I use Checkout 51 and Snap I didn’t know about the other two but I will be checking them out now. It’s great and helpful all the ways out there to help you save money. My daughter shops ads and clips coupons. She knows about manufactures versus store coupons and survey sites. We do not have a Smartphone but have used checkout 51 on the computer. It’s great that you can. I need to give apps a try, I don’t know why I haven’t, they seem easy enough. I would love to hear what you think of Cart Smart when you do go to use it. I tried the other day and have no idea how to use it LOL. I think you have to make a list first? Then scan in and not sure how you redeem your $, I think it is not like the others. I haven’t bought anything on the list for CartSmart yet. I’m thinking its the same as the others though. You upload your receipt in the app and then check off the offers you bought that are on the receipt. I use Checkout 51 and Snapsaves. A great way to save money. 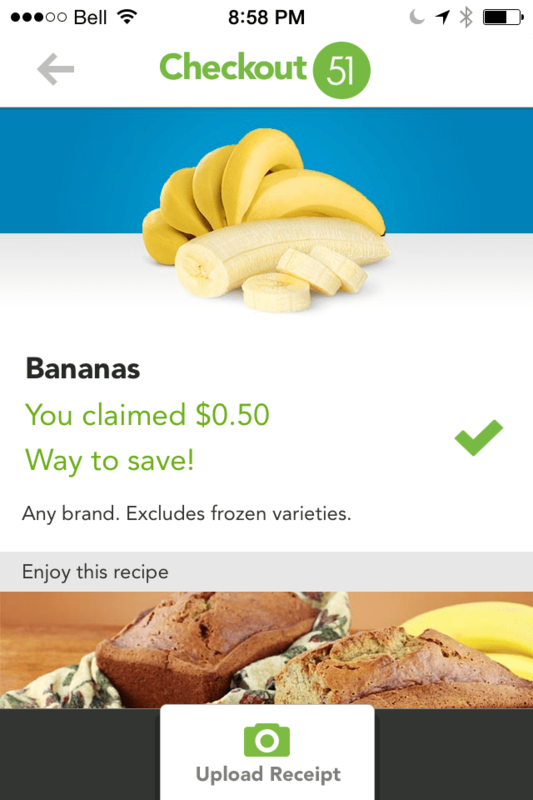 I got more for money saved from Club Sobey than coupons but have 51 app will try using it. I just starting using one of them. I don’t have a smart phone and use my tablet to take the receipt picture. With the tablet the are to take the picture was long and tiny. Took me five minutes to get the hang of it but got the picture looking Ok. On the page they still had the offer but after I took the picture and process the offer was no longer available. I went back to main page it still said available but it wasn’t…. I use Checkout51, Zweet, CartSmart, Snap by Groupon, Save.ca Changio, and PCPlus. I love all of these programs. I have already earned $118.50 from Checkout51. With PCPlus, I’ve accumulated enough for over $120 in free groceries but I’m going to keep accumulating it until I have over $300. One other App that I find extremely useful is Flipp. 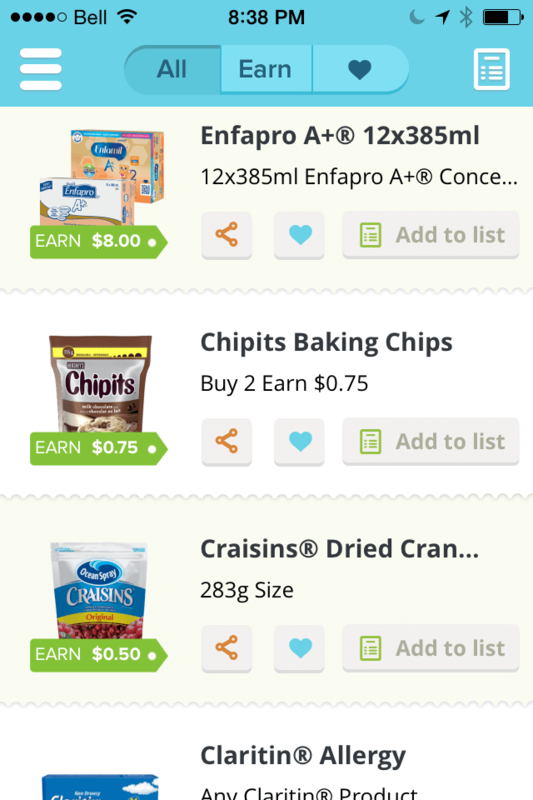 When preparing my grocery list, I use Flipp to compare prices on products that are already on my shopping list then price match them at Real Canadian Superstore and combine my savings with Checkout51, Zweet etc. We are a family of 3 that eat very healthy and I only spend approximately $300 per month on groceries. I also make all my own cleaning products so I save a TON of money in that area. I love my money saving Apps!!! Will you share you cleaning product formulas? 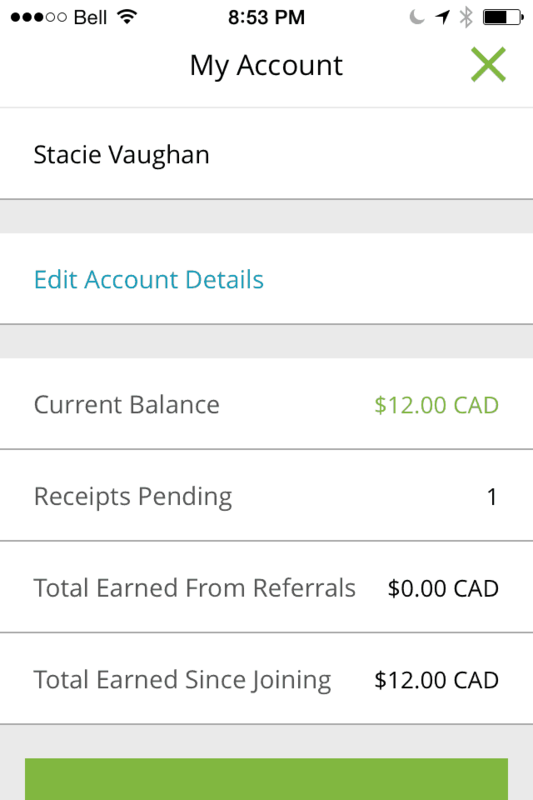 Caddle is another app you can use and upload your receipt!